We understand how frustrating it is when your dog just runs around and won’t “stay.” It drives you crazy. You want to feel more control and peace of mind. We get it. 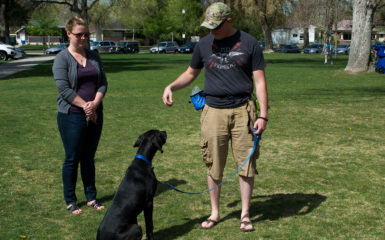 We helped Stacey and Brett with their dog training. Salt Lake City is where they live. We worked on stay so that they could feel more peace at dinnertime. Shelly, their dog, wanted to join her owners for dinner in the kitchen. Stacey and Brett did not want Shelly to join them at dinnertime. They wanted her to stay out of the kitchen peacefully. 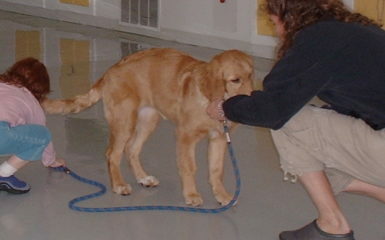 We began by teaching Shelly a simple stay while they walked away from her. Then we progressed to having your her stay as the owners walked away and sat in their kitchen chairs. From there we extended the length of the stay. Quickly Shelly began to hold her stay for longer time periods. Stacey and Brett were easily able to eat in the kitchen in peace. They felt so happy. The video demonstrates Shelly’s awesome stay in their backyard. Stacey quickly rewards Shelly so that she knows she is doing a great job. She also keeps the stay short and releases Shelly before she breaks the stay on her own. This creates Shelly to be successful instead of failing. 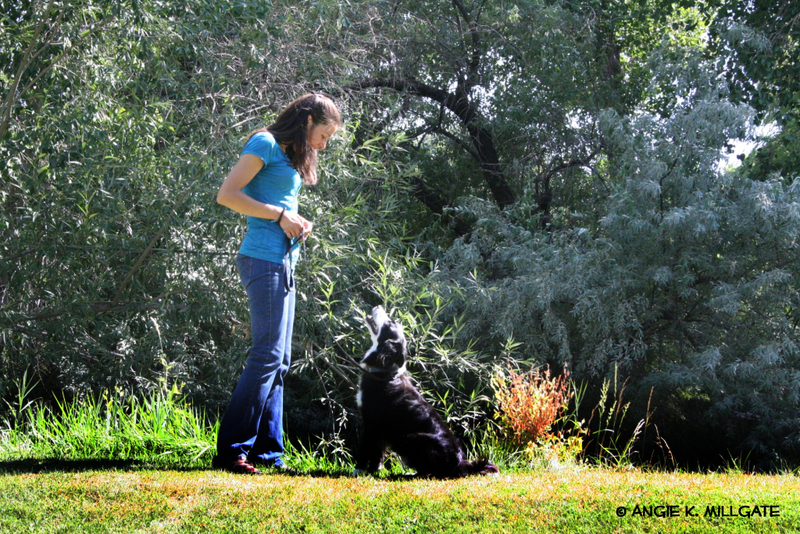 All good things to keep in mind when training your doggie. 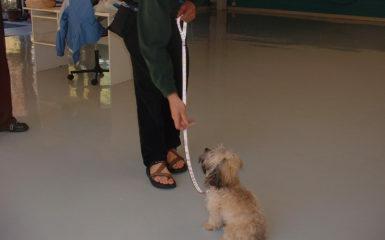 You can get your dog to stay by practicing dog training. Salt Lake City is where we help most of our Utah clients. We would love to help you too. 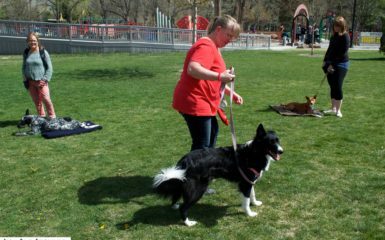 However, there are many Salt Lake City dog trainers to choose from. Please choose a reward based dog trainer.